Dedicated Dense Wavelength Division Multiplexing (D-DWDM) is an optical, multiplexing technology used to increase bandwidth over existing fiber networks. It works by combining and transmitting multiple signals simultaneously at different wavelengths on a single fiber strand. 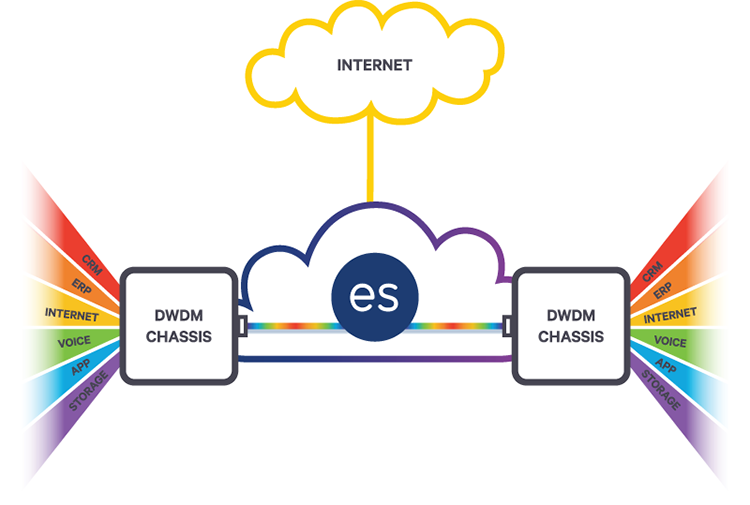 A D-DWDM network requires both a fiber connection as well as physical hardware components, which are configured and supported by Everstream. This secure, private connection is typically used for production and storage replication or as part of a multi-location circuit connecting primary/secondary data centers to end-user locations of choice.